Lisa Zane (Bad Influences) is a child psychologist tormented by recurring nightmares. 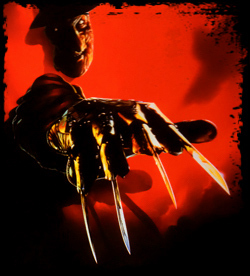 But not until she meets a new patient with the same horrific dreams does her quest for answers lead to a certain house on Elm Street—where an evil that defies the greave is about to be unleashed upon the world. With Yaphet Kotto (TV’s Homicide, Alien) and cameos by Roseanne, Tom Arnold, Alice Cooper and Johnny Depp, this chapter in the worlds most terrifying dream saga is a fantastic voyage. US: They Saved the Best for Last. UK: They Saved the Best… for Last. Home Video: Evil Has Finally Met Its Match.